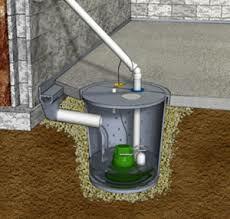 Sump pumps are used to remove water out of a low lying part of a structure like a basement or crawl space, where the installation of a gravity flowing drain is limited. Long lasting and reliable, sump pumps will keep your home dry for a fraction of the cost and a lot less trouble than you may think. Without proper water flow around your home, the structure can begin to collapse from rotted out wooden structures and soft soil conditions caused by water pooling. Regular maintenance is vital to ensure your system is ready when it needs to be. Our maintenance service division can clean and repair vital components of your drainage system.